I know I have been writing a lot about gaming lately, but that is because I am on one of those journeys — trying to figure it out while sensing the possibilities for learning. I was thinking the other day about various educational conferences and how there is such a lack of sessions on gaming, even though I will bet that most of our students spend a lot of their time outside of school with games. (maybe too much?). I was perusing the K12 Online Conference and thankfully, I did find one session on gaming (Gaming to Learn by Learning to Game by Leigh Zeitz). Luckily, last year, I attended a session around video game at the National Writing Project meeting. But without that, I would have been in the dark about the possibilities. Anyway, the other day, I was designing a new game that sought to celebrate Women in Science. This is sort of an experimental prototype of what I am going to be having my students doing very soon (and I can’t tell you how many students are coming up to me, asking when when when are we going to get back to our gaming site — Gamestar Mechanic). My science teacher and I are starting our discussions around merging video game design, literacy and science (in this case, a geography unit that includes layers of the Earth, tectonic plates, etc.) into a project next month with connections to the new Massachusetts Curriculum Standards (ie, Common Core). Since there were three women scientists in my game (Marie Curie, Lise Meitner, and Barbara McClintock), I created three “levels” to the game to represent each of their discoveries. I mulled over the idea of enemies. I know I wanted challenges, but did I want enemies? I decided that the enemy avatars would be “doubters,” those who didn’t believe that a women could make the same level of discoveries as men. The “doubters” are throughout the three levels — a shared experience of these pioneers. Each has to escape, elude or defeat the doubters who would stop them. That seemed appropriate. I struggled with the symbolic layout of the levels of the game, however. How do you represent discovering radioactive material? Or splitting atoms? Or understanding genetics in a new way? Mostly, I used treasure/jewels to represent the “discovery” phase of the games, with some dangerous roadblocks along the way (for example, Marie Curie is in danger with radioactive materials, so she loses energy and lives as she works with the materials). For Lise Meitner’s level, I decided to “split” the maze into three sections, representing how she “split” the atom, and each section has a challenge area for the player to overcome. I’m not going to say that some of the symbolic representation here doesn’t feel a bit forced at times. And I admit that teaching my students to do the same on some level for their gaming projects is going to be a challenge. (Although, layers of the Earth nicely coincides with a multi-level game, right?) This will be where the development of critical thinking skills will come into play. Or not. That will be part of the learning and the teaching around video game design. In some ways, THAT is the learning, not the game itself. The mental challenge of thinking through symbolism, and then creating a game that uses that representative ideas for information while still balancing creating a challenging game for an audience … that’s pretty heavy stuff, and it is also the very reason why game design should be part of how we can spark critical thinking skills in our students. You want to play my Women in Science game? Go to the link or use the embedded game down below. We’ve been working our way into video gaming as a design lesson, slowly, and already, I can tell which students are getting hooked by the possibilities. Yesterday, one boy took me aside at the end of class. He’s one of those who is excited by the possibility that he is doing game design in school, and you can see his brain working overtime, trying to take advantage of the opportunity he now has to create video games with our Gamestar Mechanic site. He is one of the ones that I am diving into video game design for. I remembered now that he is reading The Warriors series. He nods. He looks to see if anyone else is listening in, for clearly, this is proprietary information that he doesn’t want to spill out yet. “I am going to have all of these different challenges in it, and I am thinking of how I can use Gamestar to …” and then he launched into some various strategies, wondering what I thought, and so we chatted a bit about the way forward. I have been struggling to get this particular student to expand his writing this year, to go deeper into his stories and in his reflections. I don’t think he has seen the “meaning” of our work in the class as something tangibly useful. So, I was all ears as he not only mapped out an interesting narrative (inspired by his reading) but also verbally mapped out the “writing” of the story as a video game. I will be interested to see how his project unfolds. I should note that this is not a class project. This is not something I am assigning him to do (we will be doing a video game project eventually, but not yet). So, the motivation to create something meaningful for himself and for a larger gaming audience that will play his game is one of those moments that I am going to hang on to as we move forward. It’s a moment of insight that I might have otherwise missed if I ignored gaming as a passion for him, and for all of the other students who did not pull me aside but feel the same way. There are many things I like about Gamestar Mechanic as a site to teach game design. It’s easy to use, easy to publish and easy to connect young gamers into a gaming community. What I like best is how the games you play teach you about how to make your own games. One example is an activity that allows you to earn backgrounds and the games in the activity are all about colors that match and colors that clash, and how different tools might work with different backgrounds, and how others might not. It’s a really interesting activity, complete with a graphic novel story that underpins the work with a narrative. When you get into the real design of your games, the site also provides you with an incredibly valuable tool known as the Funnel Chart. 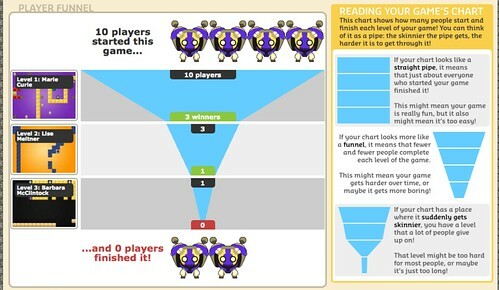 As people play your game, the chart shows you how players have progressed through the levels of your game idea. 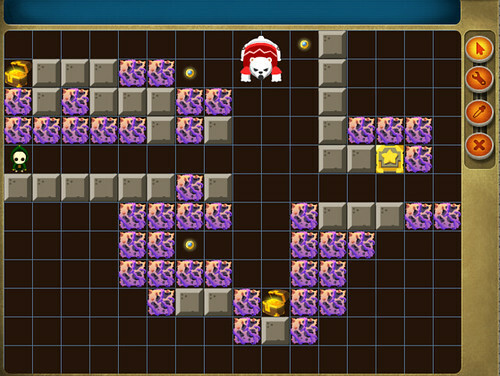 The visual will give the game designer clues as to levels that might have been too easy or too difficult, and how many players who started the game actually stayed with it until the end. Game designers use this knowledge, usually in beta mode, to engage in the iterative process of evaluation and improvement, making incremental tweaks to improve the gaming experience. The Funnel Chart above is for a new game I created over the weekend as I was thinking of how we can bring a science theme into our game design. I went with a look at women in science. I’ll go into more depth around that game design another day, but I notice on the funnel chart that 10 people started my game but no one finished it. And only one person made it to the last level. 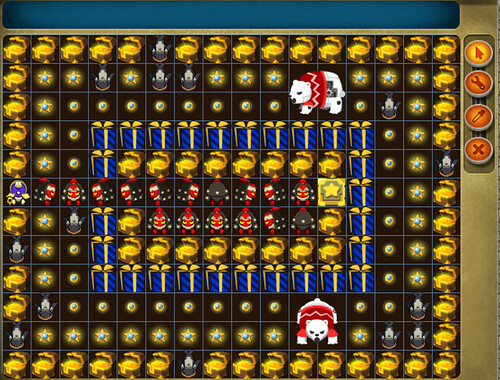 I might need to make the first level a little easier so that players don’t get frustrated and give up. I want them to be challenged, but also, successful. Without this kind of game play data, I would be sort of in the dark about what I created and about the experience of players. I know the game — I know how to play it in and out because I spent a lot of time designing and playing it myself. Understanding what others experience is an important element to make my game better. This is what I will be teaching my students as they develop their own games around a scientific theme in the coming month or two. PS — I am going to try to share out the game. It seems like you can share outside of Gamestar for a short period of time, so the link may or may not be active when you view this. You know there is that the famous axiom about writing: Write what you know. And I have the Charlie Parker quote here in my blog as my tagline: If you don’t live it, it won’t come out of your horn. So why am I feeling a bit guilty about playing video games in my spare moments? Isn’t a corollary of those sayings: You need to play the game to teach the game? I have been introducing game design to my sixth grade students (moving towards a STEM-centered game design project later next month) and while I am open to their insights and inputs (most of them have way more gaming experience than I do), I know I need to keep up my skills on video games, too. I need to speak their language and I need to at least convince them that I sort of know what I am talking about (even if I have to fake it once in a while). Still, every time I pop into a gaming site that we use, I feel this little twinge of guilt. Is this really what I should be doing with my time? The other day at school, we had our parent conferences. The meetings went fine, but a few parents wanted to know more about the spelling and mechanics strategies that we are using in sixth grade. They reminisced about “the old days” of ELA, when students used pages of worksheets to drill a skill into their heads. I don’t do that. I laid out what we do to help them, by revisiting spelling strategies and making a difference between published work and draft work, and editing. I talked of using technology as a tool (we have a number of Spelling Ace devices in the room, and a load of dictionaries, and they are encouraged to ask an outside reader to help find errors). Somewhere, though, I heard this inner voice saying that maybe I should just drop game design as a part of a writing curriculum, and focus on writing mechanics and spelling lessons. Maybe my classroom should return to the days of ELA as I remember it — the drills on skills. I even found myself shaking my head in agreement when one parent bemoaned how electronic devices are turning kids off from reading books. It’s true. It is. And yet here I am, teaching and encouraging gaming. I try to shake off this inner voice reservation with the conviction that I work many of those basic writing skills into any project, including gaming. They will be keeping a game design journal, making storyboards, writing a narrative project that guides their game, etc, — all of which will require finished/finalized writing that meet high expectations around spelling and grammar. I remind myself about the need for more visual literacy skills (all data from our state testing shows this as a major weakness with our students). I remember the way all of my students — four classes worth of sixth graders — were incredibly engaged in constructing a simple video game the other day. I keep telling myself that this is a good path to be on. But I still feel this twinge of guilt. It must be a parent-thing. Or a teacher-thing, Or an adult-thing. Gaming can’t be learning if its entertainment, right? in the night’s descending darkness …. amid crowds of youth, mind and bones. to a place I find no comfort …. On a whim, I submitted this short story (if you can call it that) to the local newspaper’s annual Fiction Contest (which pulls in hundreds of stories from our valley, which is home to many writers and artists). I didn’t expect my piece to get very far. It is nontraditional in the sense that the story is buried inside of it, as the format it a series of biographical blurbs from the end of a book collection. I first shared it here on my blog and worked through some versions over at our iAnthology writing site. I liked the way it came out and figured I would give the contest a shot. At the least, it would break up the reading of the reviewers, right? (Another story from two years ago got honorable mention, too, so I have a positive experience with the contest). Yesterday, I opened up the newspaper to find that this story — Connecting the Dots: A Story of Contributors — received an Honorable Mention in the fiction contest. I am quite proud of this strange little story. You can give it a read, if you want. We’ve been working hard on character traits with our independent reading, pushing into different ways to view the characters in the novels they have chosen to read. One activity is have students introduce a character to an audience. In this case, the audience is the world, as we used our iPods and Cinch to podcast their piece of writing about a character. I gave them a basic framework and an example of my own, and then they worked on the writing and then recorded their introductions. Our podcasts can be found over at our classroom home at Cinch. This is a project done with our art teacher around the theme of peace. It’s so nice to see the hallways lined with these peace posters. We’re still in the early stages of exploring Gamestar Mechanic as a place to learn about visual literacy and game design. Yesterday, I had my students “build” a simple maze game. Their task was to use bricks to create the walls, a single hero, a single villain, and one treasure chest somewhere in the maze. Gamestar makes it easy to build mazes. You choose your item and use your mouse to put it down. Hit “play” and test out your game. But the lesson soon turned to one about the balance between making a game challenging and making a game too difficult to play. This is a crucial element of game design. If your game is too easy, the player gets bored. If it is too hard, the player gets frustrated. The key is to find that middle ground of being just challenging enough to inspire the player to try and try again, and eventually, succeed. The player has to have hope they can make it to the end of the game. I brought this up a few times, particularly when one of my students took over my mac and began using the interactive board to build out her game. I let her, even though she didn’t ask, because the board is for them, not for me. And I found it interesting to watch her, as did many of the other students. 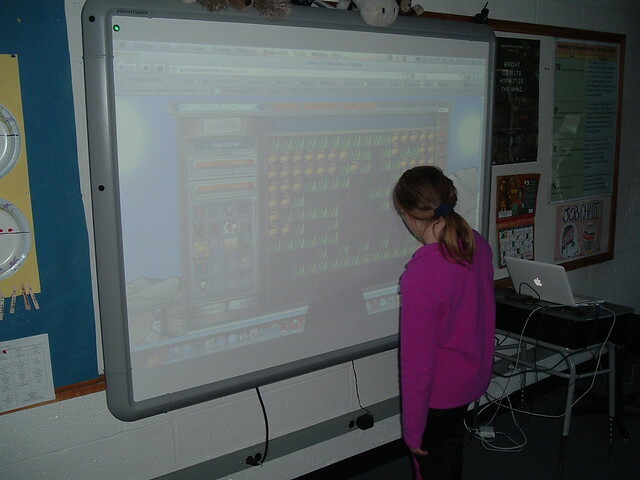 She was creating a very complex game, sweeping the pen (mouse) across the board to add many, many different things. She was working with the game designer in mind, it occurred to me. Across the room, a boy was deep in thought with his maze, carefully constructing the elements with the player in mind. His maze was carefully constructed. I liked his maze better because I was a player. I could see what I needed to do, and how I could win, even if there was a challenge to it. Her game had so many elements (she was experimenting and playing, which was fine) that I could not really focus on even where my player avatar was. What I might do different: I probably should have had them create a paper version of their maze game first, and then shift to the Gamestar Mechanic site. That would have provided a blueprint for them. But, as with some things when holidays roll around, we were limited to our time and I wanted to give them some experience before the Thanksgiving break.